I began another essay last week. Once again, my paralysis showed up, although this time I identified the presence as my co-joined brother. That's a new take. Believe it or not, I've never been that close to this thing I live with, this quadriplegia, this thing that has now apparently become a brother. Even in my dreams, I am paralyzed, although in a fashion different, less restrictive, than in reality. I'll leave it to the shrinks to decide how the partial destruction of my nervous network by a virus has evolved into a filial association. In previous manifestions, the crip-me has been a doppelgänger, something left outside the figure sketched by a crime scene tape. Obviously, crip-ness is my experience; crip-ness is fundamental to the essence of me. I don't like it. Never have. Never will. It's inconvenient, of course, in a practical sense, in the sense that it circumscribes my life. Granted, every person wants to be special, but my crip'ability is simply a thing genetically created like my eye color or early hair loss. Genetically created, that is, by a flaw in my immune system. It's something over which I have no control rather than a constructed part of self about which I have the right to be proud. I have friends who have written about being a police officer, an air traffic controller, a naval officer, and more. All interesting. All outside my experience. 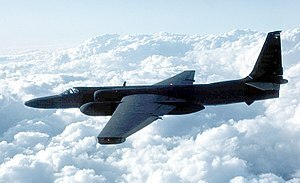 I recently read Skunk Works, a history of the part of Lockheed that built the U-2 and the SR-71. Good tech stuff, sure, but the most interesting parts to me were the anecdotal interviews with the pilots. Me? My experience is disability, or so it seems each time I attempt to write. I get paralysis, a sardonic sense of humor, and the slippery existential impetus to cope with the result. And so I've piloted a wheelchair for fifty years, and I can only tell you it ain't nowhere as interesting as being the pilot of a U-2, a thing I never would've been anyway, being born before the era of eye-sight correction surgery. I was raised in the Father Knows Best and Mom-stays-at-home generation, and in some respects, there lingers in me the suspicion that many (I won't say "most") women then identified themselves as wives and mothers. That is, the essence of femaleness was to build the nest and brood the chicks. There is no reason to discuss why, a thing which probably an odd mixture of biology and culture. All I know is that such were the lives of my mother and grandmothers. On the other hand, men functioned elsewhere. One grandfather was a farmer. The other was an oil field worker. My father was military man, a farmer, and an administrator—his life's three primary occupations—but I was never intimate enough with any of them to understand whether they were their function or if what they did was simply what they did. On the other hand, because of physical circumstances, I have never thought of myself as anything other than a crip first. That's because—let's not bring color, ethnicity, or religion into this mess of misdefinition—everything I do, want to do, or cannot do is contained within my petty little circumstance of disability. It is really no puzzlement, then, that when I attempt to write something my co-joined brother shows up to share the byline. I cannot say that all that I see-feel-live is transformed by disability, but I am frustrated that it sometimes seems I view every circumstance through my disability-colored glasses.